In my lifetime, Liberals have been the middlemen of politics, the sensible centre ground offering reason and light in the heat and fury of tribal politics. They sought peace and concord and applied a moral principle. So I was re-reading something this week which could have been a Liberal Democrat mission statement. Alistair Carmichael – crafting his own dead parrot allusion – has rejected out of hand the Scottish government’s argument for using section 48 relating to treaty amendments to effect Scotland’s EU membership. And this from a government which ‘refuses to pre-negotiate’. Well, it’s certainly true that negotiation is banned, but what we didn’t expect was that the decisions would be made unilaterally anyway. We now have currency union unilaterally ruled out without negotiation followed by Scotland’s seamless EU entry blocked by diktat, again without any discussion between governments. Now you may casually dismiss what Carmichael says on the grounds that he doesn’t enjoy a surfeit of respect from the voters barely any of whom have heard of him, but it’s worth considering the implications of his remarks to MSPs because they illuminate a trend in the Things Are Alright camp. I don’t imagine the intricacies of EU treaties will sway many sensible Scots, you only have to follow your common sense to see what will happen if Scotland votes Yes and makes clear its determination to remain EU members. But the path Carmichael appears to have chosen is the most precarious and tricky the frankly irresponsible not just for Scotland but for Britain. Article 49 is for accession states, it is for new members who have not previously been members and are not members now….applicants who have had to work to meet the aquis, the exacting legal standards to comply with the rules. That is not Scotland. Undeniably and indisputably, that is not EU-compliant Scotland. You have to wonder that any proud Scotsman could willfully portray his country as less in stature than it actually is. So what does the Carmichael position mean? And yet the man supposed to represent Scottish interests in London merrily tells our national parliament that the simplest, safest route is now a bullet-riddled corpse. Without even the benefit of talks, mind. Just dismissed…by the arrogant and ignorant Liberal Democrat who has muscled his way into the top job and now uses his time to denigrate the very ideas that can secure his country’s future. At the same time he does disservice to the European ideals to which he pretends to subscribe. Talking down hardly covers it. It was the same with currency. They foretold the future without conferring with Scotland first. Like Macbeth’s Three Witches, Osborne, Alexander and Balls dictated events. I liked this description of Shakespeare’s trio. ‘They represent darkness, chaos, and conflict, while their role is as agents and witnesses. Their presence communicates treason and impending doom. During Shakespeare’s day, witches were seen as worse than rebels, “the most notorious traitor and rebell that can be.” They were not only political traitors, but also spiritual traitors as well. Much of the confusion that springs from them comes from their ability to straddle the play’s borders between reality and the supernatural. They are so deeply entrenched in both worlds that it is unclear whether they control fate, or whether they are merely its agents. They defy logic, not being subject to the rules of the real world’. Precisely. 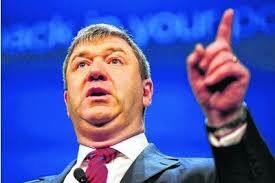 Carmichael’s absurdist position was amplified by his crass use of language. Lured by an questioner he may have been but it befits a clever politician to avoid traps. Not to realize he was stumbling into an odious metaphor betrayed the truth about a man bumbling around in unfamiliar surroundings. Some of us remember Liberals as the consensual figures in our alphabet soup, the compromisers and co-operators who exuded reason. 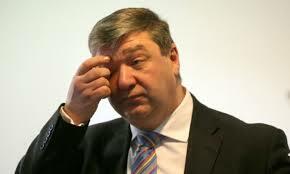 To listen now to Carmichael and the decidedly Tory –sounding Alexander is to feel the shock of realization that one was duped. Both men have produced what defence lawyers used to call a tissue of lies in order to mislead their fellow Scots into rejecting the one avenue by which they can take command and control their own affairs, what Liberals used to call Home Rule. Campaigning I understand. Lying I deprecate. These positions on currency and the EU are deliberately crafted misrepresentations paraded as fact and are proof that the Liberals have lost the conciliatory gene and joined the anti-Scottish alliance so completely that their party history will need to be re-written.